The Community Bowl is a collaborative effort to understand food insecurity and take action with campus and Baltimore partners. 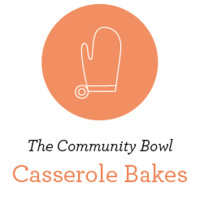 Goucher's Food Recovery Network will provide all the ingredients to make casseroles, which will be donated to Our Daily Bread, a hot meal program in Baltimore. All we ask is that you bring a friend and your favorite happy hour beverage.